So you’re traveling around France; visiting glorious chateaux, world-class museums, eating in charming little bistros and shopping in the markets. You’re out and about most of the time and want to maximize your budget. You may have heard people complaining about high prices in French hotels, but there are many cheap, clean hotel chains that offer spotless rooms, good showers, and clean bed linen. Save on the accommodation and enjoy more French treats. The hotel business follows airline pricing, that is, it varies from day to day and region to region. The best deals are those booked in advance. Check out the chains to get a very low rate. If you're booking late, try Late Rooms and Lastminute.com. Also for cheap options, from hostels to bed and breakfasts and hotels, try Hostelworld.com. Check out these international and French chains that provide, good, cheap, basic accommodation in France. All these hotel chains start from around 40 euros per room per night. Most are a good bet for families as they offer larger rooms for up to 4 people. All also offer electronic booking machines outside the hotel, as well as key access, if you arrive late and the reception is closed. The prices vary widely according to the time of year and early booking, so if you know where you are staying, book as soon as possible. Formule 1 is owned by the huge Accor Chain and is their lowest budget choice. With over 230 hotels in France, they offer a no-frills, cheap option, mostly on the outskirts of towns and often in the commercial sections. There’s often a chain restaurant nearby catering for everybody and especially families. Rooms come with a double bed and a bunk bed. Every room has a washbasin and mirror, flat-screen TV and free WiFi. WC and shower rooms are located near the rooms. Some offer a basic breakfast and they are open 24/7. Prices from around 22 euros per room per night in the off-season booked in advance. 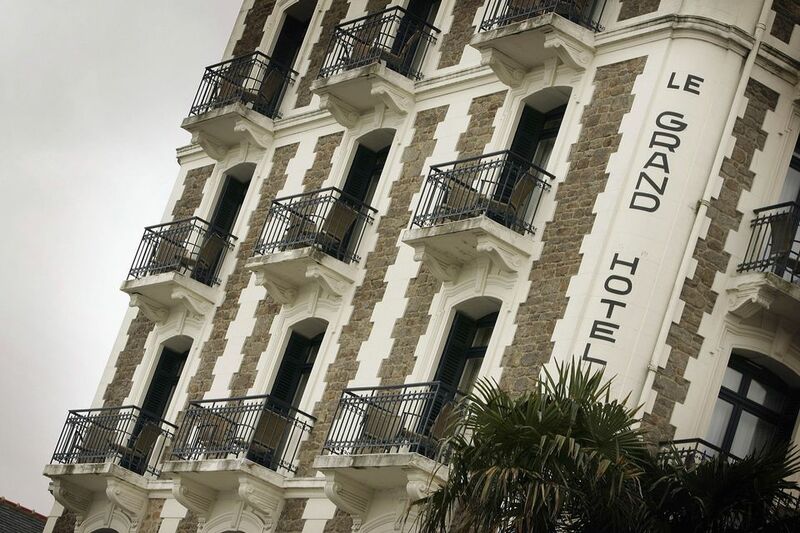 B&B Hotels: The chain, popular for their good rooms and great value prices, have 232 hotels all over France. They have different styles of rooms, catering from 1 to 4 people. Hotels are centrally located, often near the railway station. Rooms have an en-suite bathroom with WC, a writing area and chair, color TV and free WiFi. Breakfast is served in the reception area. Prices start around 44 euros for a 2-person room. Premiere Hotels: The international group has 245 hotels in France, with just a handful in the UK, Belgium, Netherlands, and Poland. Premiere Classe (PC) hotels are part of the Louvre Hotel Group, again part of the American company Starwood Capital. They also have Campanile Hotels, Kyriad and the Luxury Concorde Hotels, all with hotels in France. Mostly located on the outskirts of towns and cities, with a few in the City centers. Rooms, accessed from the outside via stairs, have en-suite facilities which are small but offer a shower, washbasin, and WC. Rooms take up to 3 with a double or twin beds and a single bunk bed. There are disabled bedrooms on the ground floor. All have color TV and free Wifi. Breakfast is a buffet and there are vending machines. Prices start from 29 euros. Ibis Budget: Formerly Etap Hotels, they are now owned by Accor and have all been upgraded. They are the cheapest branch of the Ibis chain, which also has Ibis and Ibis Styles. Located often in city centers, they are stylish and modern and slightly more expensive than other cheap options, starting at around 60 euros per room per night. Rooms have a double bed and an overhead bunk bed for up to 3. The good sized en-suite bathroom has a washbasin, shower, and WC. There’s also a writing shelf and chair. They have color TVs and free WiFi. Take a buffet breakfast in the reception area. FastHotel: The French chain Fasthotel has 80 hotels in France in 2 classifications: 1-star Fasthotels and better Relais Fasthotel. They are located fairly near the city center or on the industrial outskirts. Room mostly are for 1 to 2 people but some of them have 3 bedded rooms or 5-bedded rooms. The small ensuite bathrooms have a washbasin, shower, and WC. There’s a desk and chair so you don't need to go far for your evening meal - ideal if you're tired after a long drive. Rooms start at around 43 euros.